There are about a million and one things going on right now. Seriously, my mind may explode. 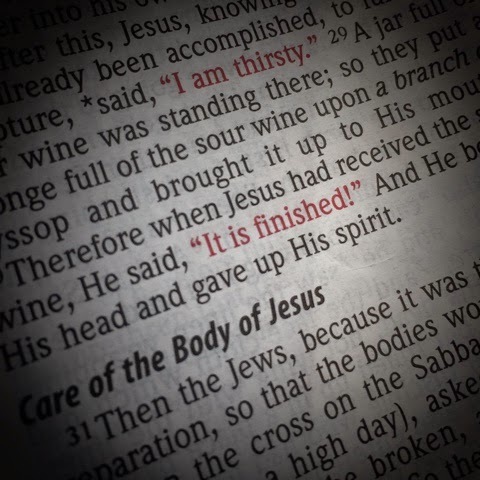 And this morning I am making the conscious choice to focus on the one thing that matters… Good Friday. The sacrifice we celebrate on this day can wipe away all the worry and desperation this world brings. 12 From then on Pilate sought to release him, but the Jews cried out, “If you release this man, you are not Caesar's friend. Everyone who makes himself a king opposes Caesar.”13 So when Pilate heard these words, he brought Jesus out and sat down on the judgment seat at a place called The Stone Pavement, and in Aramaic Gabbatha. 14 Now it was the day of Preparation of the Passover. It was about the sixth hour. He said to the Jews, “Behold your King!” 15 They cried out, “Away with him, away with him, crucify him!” Pilate said to them, “Shall I crucify your King?” The chief priests answered, “We have no king but Caesar.” 16 So he delivered him over to them to be crucified. Rejoicing with you in Him!!! Enjoy celebrating our Risen Savior, worthy of all glory & praise!! !